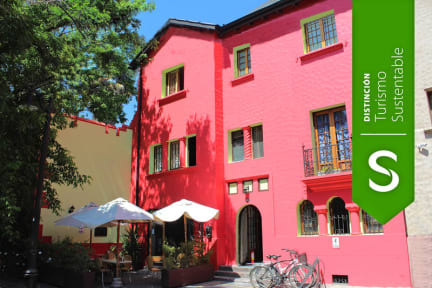 Aji Hostel i Santiago, Chile: Bestill nå! The people here are drunk at work and angry because im paying in the middle of the night. They’re not doing their job properly. Very hostile and unconfortable to be here when the peoole who work here are drunk, noisy and angry at me, calling me a baby because i pay late.